Unfinished Business opening, Los Angeles Forum for Architecture and Urban Design, "Unfinished Business: Archive" 2012, Los Angeles. Photo: Monica Nouwens. 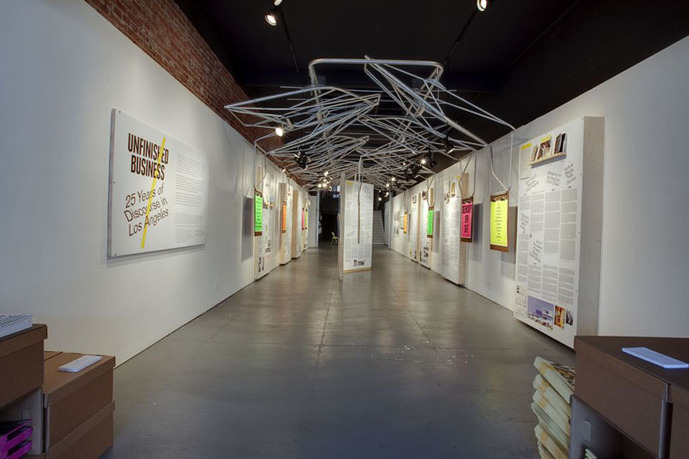 The Los Angeles Forum for Architecture and Urban Design has been at the center of urban and architectural discourse in Los Angeles since its founding in 1987. Professional luminaries including Aaron Betsky, Sylvia Lavin, Craig Hodgetts, and Margaret Crawford have contributed to the body of work generated by the Forum over the past twenty-five years. Whether positing new territory for discourse or speculating on the urban ramifications of proposed developments, the Forum has consistently opened dialogue, often at the expense of drawing conclusions. 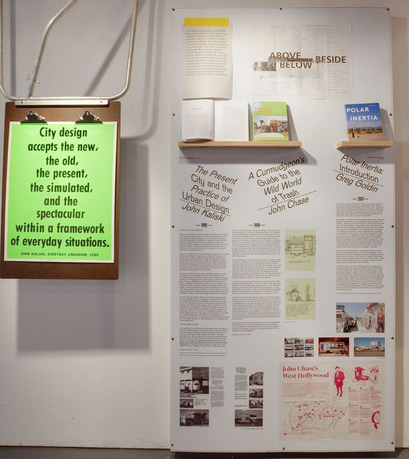 The six-week retrospective exhibition Unfinished Business will include a catalogue, lecture series, symposiums, and articles to bring to light twenty-five years’ worth of conversation starters on architecture and urban design and to pick up where conversations were prematurely left off. The Forum views this retrospective as central to preserving the history of architecture and urban design initiatives that have emerged from Los Angeles in recent years. Siobhán Burke is project director of Unfinished Business and vice-president of the board of the LA Forum. She is a key leader of the archive project, particularly the development of the mind-map. 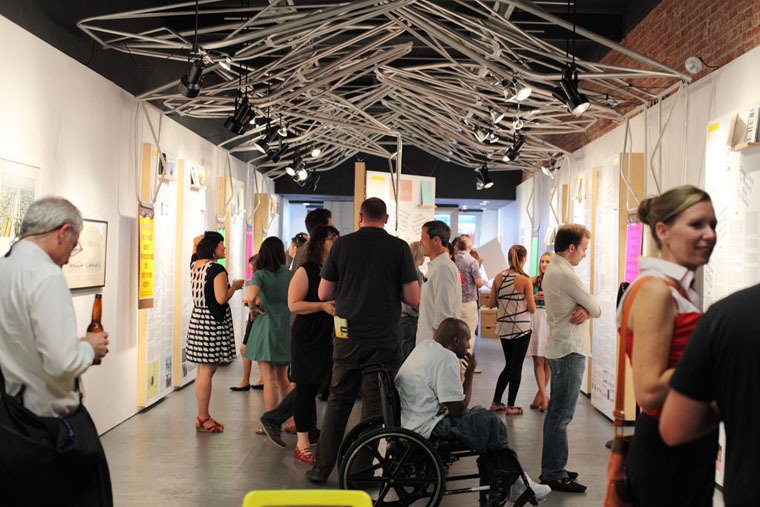 Burke, an architect and urban designer, is founder and principal of Lyric Design & Planning, a professional practice working to envision and design sustainable streetscapes, storefronts, parks, and neighborhoods. She received her master’s of architecture from Yale University and has lived in Los Angeles since 2001, where she is engaged in the design and planning of public spaces. Current projects and collaborations include development prototypes for underutilized parcels in southeast Los Angeles. Thurman Grant is president of the board of LA Forum and assistant director of Unfinished Business. 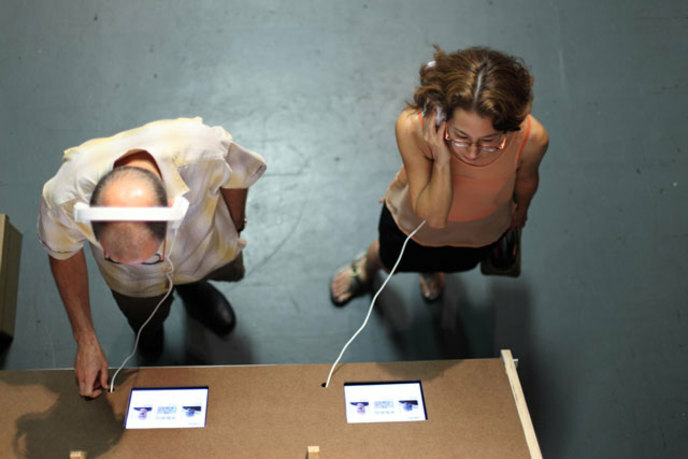 Grant is an architect and adjunct faculty member at Woodbury University. His Los Angeles-based office, GRANTSTUDIO Architecture, founded in 2005, specializes in residential and commercial architecture and interiors with an emphasis on relationships between interior and exterior environments. He holds a bachelor’s of architecture from the University of Southern California. Grant has been on the LA Forum board for three years. 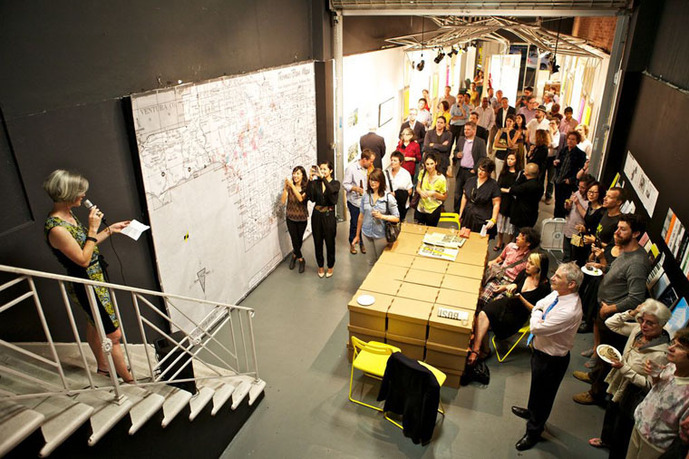 The five retrospective project teams are exhibition/gallery, archive, event coordination, documentary, and catalogue. The exhibition team is lead by Emily Morshita, an LA Forum board member of three years and exhibition designer with the J. Paul Getty Museum; the archive team is co-led by Siobhán Burke and Thurman Grant; the catalogue team is led by John Southern, an LA Forum board member of four years and founding principal of Urban Operations; the events/symposium coordination team is led by Heather Flood, writer and founder of the research-based design practice F-lab. 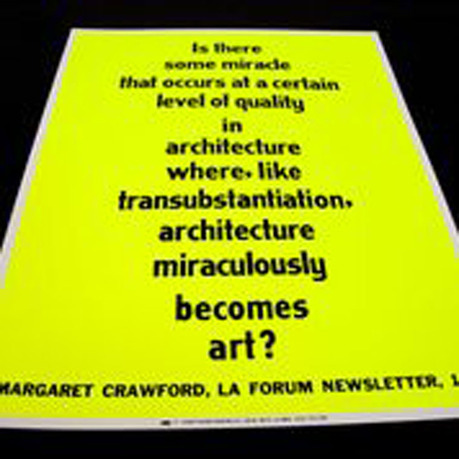 Founded in January of 1987, The Los Angeles Forum for Architecture and Urban Design's mission is to support innovative art, architecture, design, and urbanism that takes this city as a laboratory and provide a critical framework for design professionals and members of the general public to explore, evaluate, and impact the development of architecture Los Angeles.